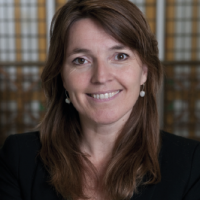 Lindy van Vliet is Manager ON Impact Investments at Oxfam Novib, a world-wide development organisation that mobilizes the power of people against poverty. Her areas of expertise include social enterprise development, gender and impact investing. She is currently responsible for the management of the ON Impact Investment facility which provides services to small and medium enterprises with a social heart in Africa and Asia: investment capital (debt and equity), business development and impact measurement services.